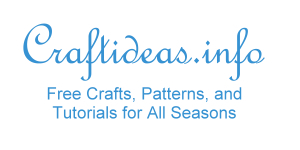 This fabric craft project is quick and easy to do. 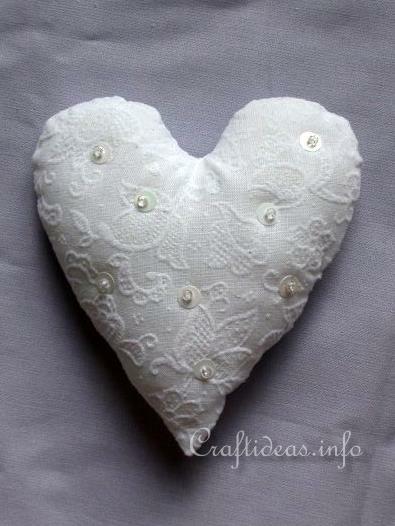 It even makes a wonderful sewing craft for an older child who is just learning to hand sew or use a sewing machine. Children can create these to give to their mothers as Mother’s Day gifts or even make them to give to their grandmothers for their birthdays. 1. Place the two hearts together with the pretty side on the inside. 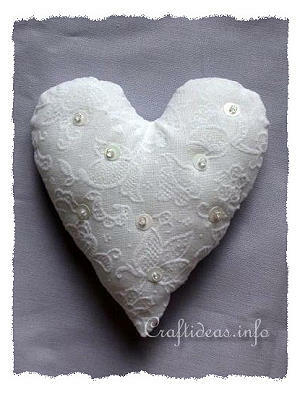 Sew both hearts slowly and accurately together with a 1/4 inch seam allowance. Leave an opening on the side for turning. 2. When finished trim the seam allowances. 3. Turn the heart and iron if necessary. 4. Fill the heart with the batting until it is firm. Hand stitch the opening closed. 5. 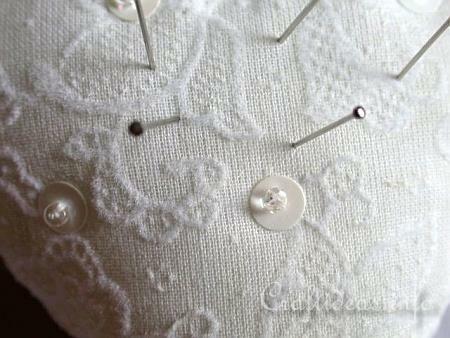 Take your needle and double a piece of string and secure it to the side of the heart. In the same space, go now with your needle inside the heart under the top fabric and come out at the top of your heart at a random place close to where you inserted your needle. 6. Collect a sequin and then a bead on your needle. 7. Now use your needle and go through the sequin again, stick it in the heart under the top fabric and come up again at another space on the top. This will secure your sequin. 8. Where you came out again, collect another sequin and bead and do the same. 9. You will continue this pattern until a desired amount of sequins is covering your heart. Detail of the bead sewn over the sequin.